xo ♥ amela: It's OKAY. I am such a Type-A type of person that I like to be perfect, in every aspect. I like to do my job perfect, I like to do my school work perfect, I like my health to be perfect. I like my makeup and vanity to be organized perfect. Perfect. Perfect. Perfect. I sometimes forget that I'm not a robot and it's okay that I'm not perfect. When I was doing my undergrad, I would constantly have anxiety about graduating and finding a job and being in a stable career for the rest of my life. It was so overwhelming and so much pressure that I would just cry, but keep going. I didn't think to stop and actually process everything and if it was what I wanted to actually be doing with my life. All I wanted was a bachelor's degree and I did not care in what. When my last year of undergrad had a huge blow up, it was truly a blessing. It was then that I realized that my plans will never go accordingly. It was then that I finally understood what "So What?" meant. So what if I didn't become a teacher? So what if I didn't get the degree I thought I wanted. It's not the worst thing in the world. I still have my bachelors. I can't begin to describe how much anxiety I had over school. I was constantly stressed and worried about it. I would be on auto-pilot and wake up at 5am every morning, go to classes I had absolutely no interest in, hated the professors, didn't care for the learning, but jumped through all the hoops, then go through my internship that I was absolutely miserable in, and come home at 7pm and do it all over the next day. There were many signs and I just ignored them all. Then the huge blow-up came up and I decided this was not the path for me. Then, one day, it just hit me. SO WHAT. My life won't end because I didn't get the degree I went to school for. There are plenty of jobs out there and I'm bound to get one. 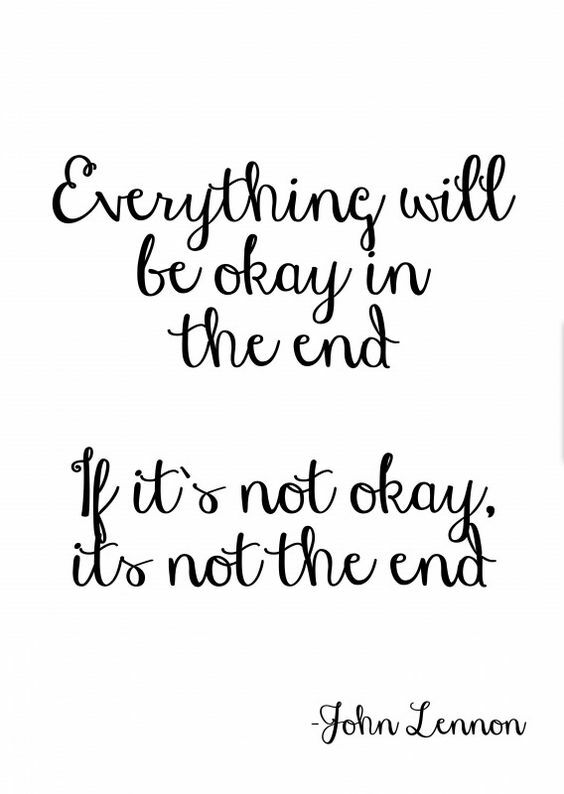 It's going to be okay. I don't like it when i'm not in control of situations and that was definitely one that I absolutely tried everything and simply could not control. My anxiety was through the roof. I gained so much weight. I was beyond stressed. Looking back, I am SO happy that it happened. I learned the biggest lesson of all. It's okay. I can't have control over everything in my life. Sometimes God's plan is way bigger and better than yours. I thought that I HAD TO get this degree and I HAD TO get this career or else.... there was no "or else". This was it. When I learned that this was not the path for me, I started to think differently. It's okay. 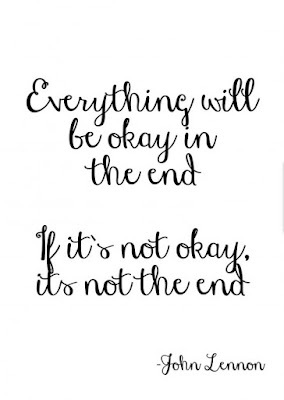 Not everything goes as planned and that's okay. Go with the flow and see where it will get you. So, for anybody that's worried and has anxiety about something in their life, I want to tell you that it's okay. Take a break. Do something for you. Enjoy your life. It's not the end of world. Everything will work itself out in the end, I promise!